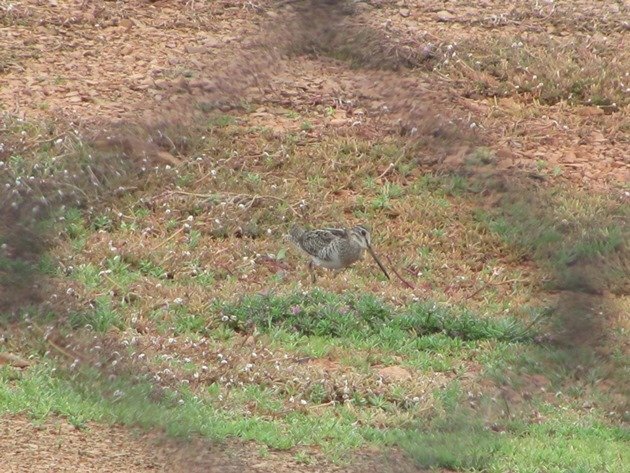 At this time of year in Broome there are often Swinhoe’s Snipe present at the Poo Ponds, but they are elusive and they did not make it onto my 2013 list. 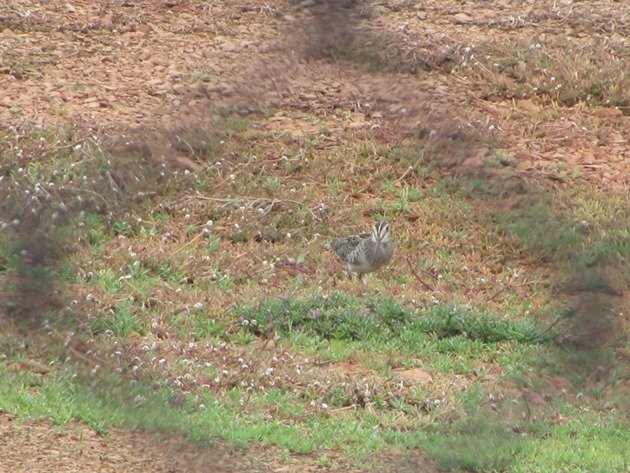 I did have the pleasure of finding a Latham’s Snipe in Queensland on February 14th 2013, though and a pair of Painted Snipe near Broome on August 4th 2013. 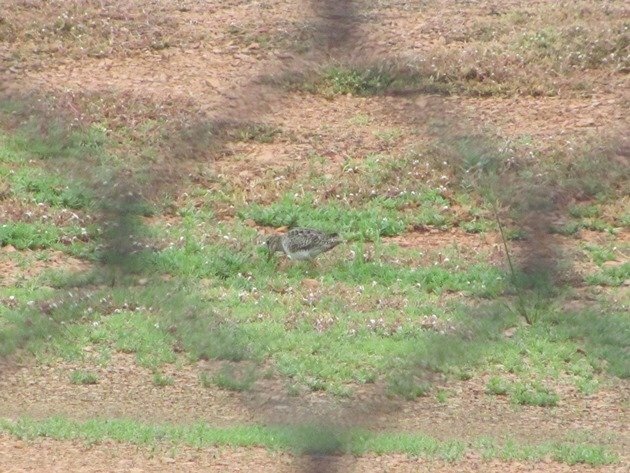 I started well in 2012 observing Swinhoe’s Snipe at the Broome Poo Ponds on January 3rd and I was hopeful of finding one again this year. The problem at the moment is the lack of ground coverage at the Poo Ponds and I did fear that when they returned from their northern breeding grounds in central and southern Siberia they may choose to inhabit another area. 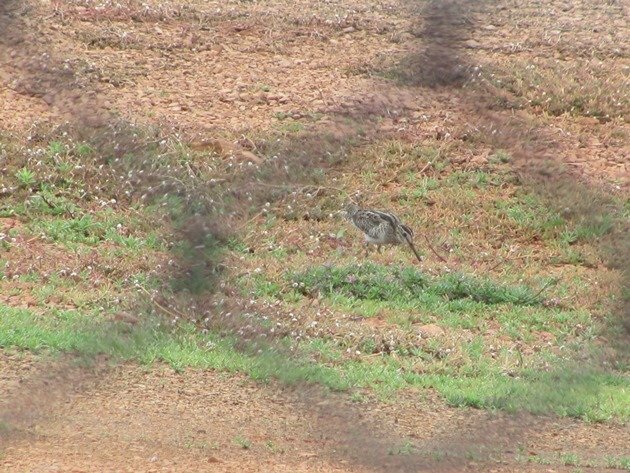 The Broome Poo Ponds are best surveyed from a vehicle to cause minimum disturbance to the birdlife both inside and outside of the fence. There are very few bird hides in the north of Western Australia and your vehicle is more than adequate for observing from. In fact it is ideal! The disadvantage of all the Poo Ponds are the fences! It is incredibly difficult to get close enough to get a photograph without part of the fence in. It can be cropped out of course , but I will leave it in for you, so you see what I saw! 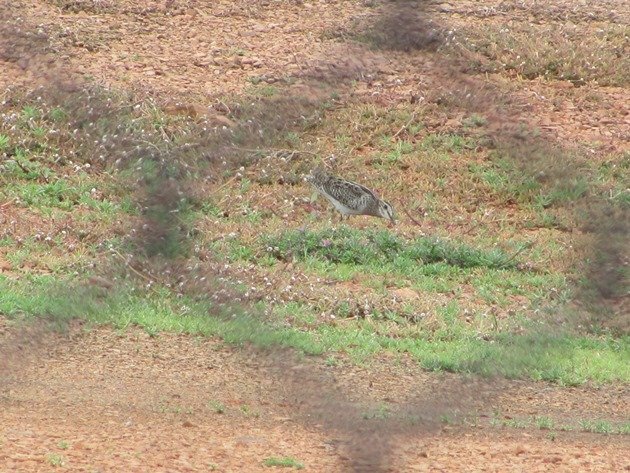 At the Halls Creek Poo Ponds last year I did attempt to get out of our vehicle and creep around and did get some photographs without a fence in and consequently flushed some Brown Quail! There’s often a surprise waiting for you in the bush! On January 18th the weather was dull, incredibly dull and it had rained recently and the ground was soft. It was ideal weather for the elusive Swinhoe’s Snipe and we headed for the Poo Ponds mid-morning. There were 7 Yellow Wagtails present and the Little Ringed Plover and Semipalmated Plover were present. Within a few minutes I could see a Swinhoe’s Snipe feeding in the soft ground. These birds are carnivorous and mainly feed on earthworms, molluscs and insects and they have an incredibly long bill enabling them to dig to some depth. We were able to move along slowly in our vehicle and the bird continued to feed unconcerned by our presence. On other occasions we have had them drop to the ground and they are well-camouflaged in the undergrowth, so this was a rather special occasion. OK, I have decided I will crop one photograph, because the fence was a bit messy! A few years ago the grass was longer and they could hide well along the edge of the fence and I did mention them in a post three years ago and I also shared the fence in my photograph! 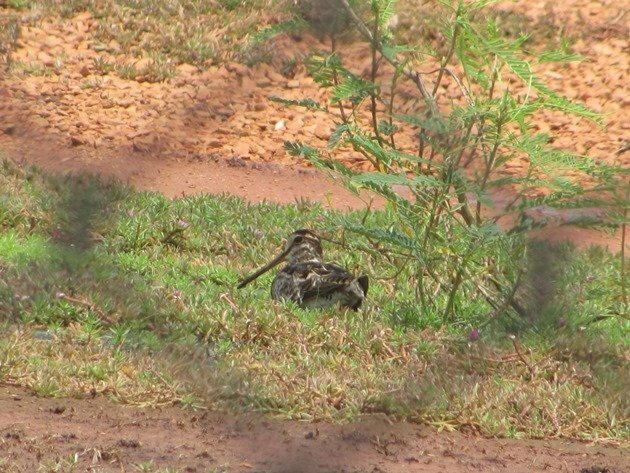 Pin-tailed Snipe have been known to visit the Broome Poo Ponds, but to confirm this bird you really do need it to be stretching and displaying its tail! It is a shame the light was not better, but if it had been bright sunshine this bird would not have been out feeding and I would not have seen it! Seeing as a lot of you are experiencing dull and cold weather I will not complain about dull and hot weather! However, we returned yesterday morning just after the rain stopped and when the sun came out just in case it was out and about and it was……. 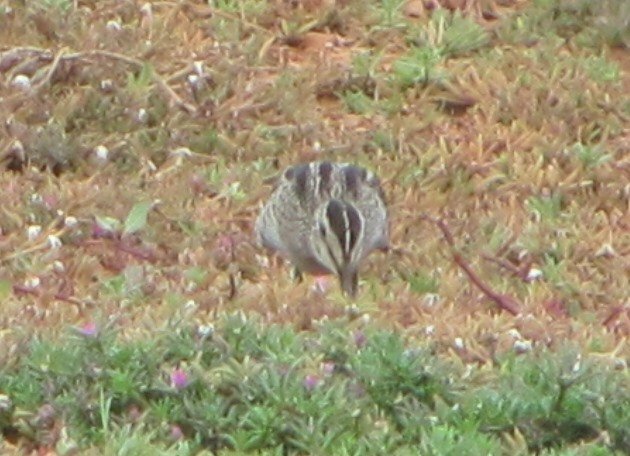 Searching for the Swinhoe’s Snipe at the Broome Poo Ponds at this time of year is rewarding!